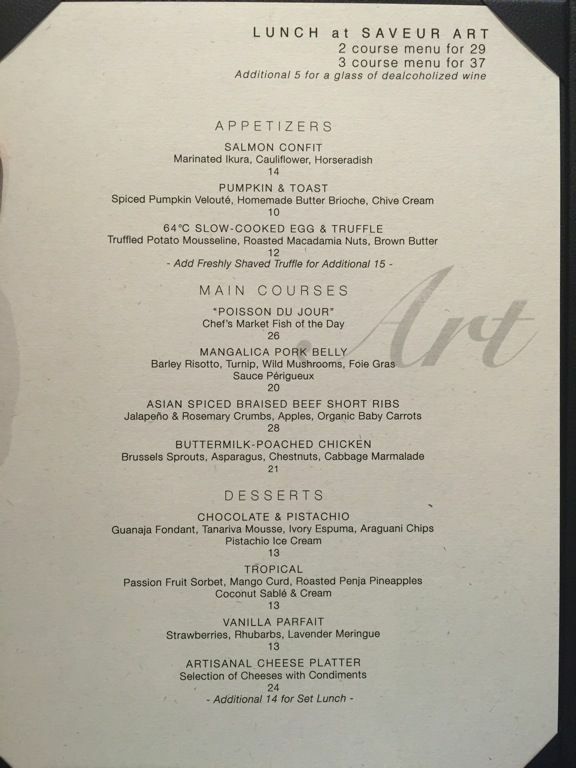 The boys from Saveur have gone from cheap and affordable French dining for the masses to modern French fine dining with Saveur Art! Their latest outpost, located at the swanky ION Orchard, is helmed by former sous chef of Jaan, Chef Tyler Lai. 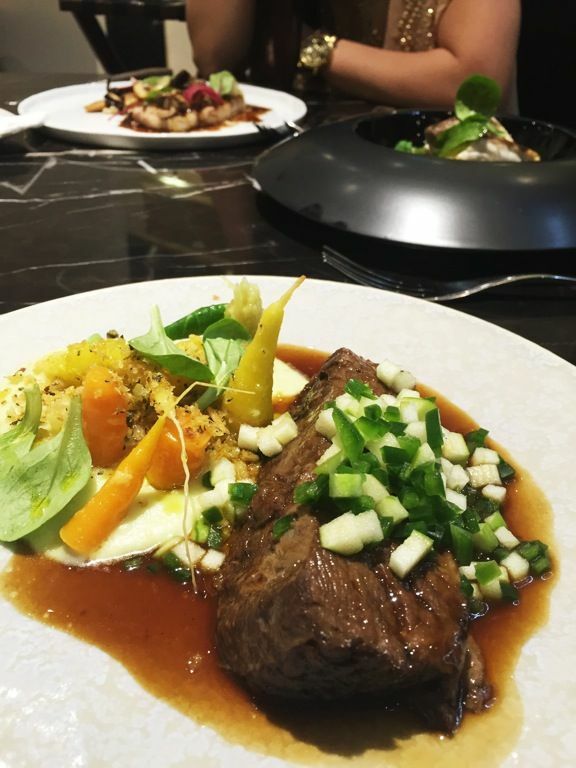 Despite the more upmarket location, the menu remains affordable with a 2-course set lunch at $29, 3-course $37, and a 4-course dinner at $52. Our meal started with an amuse bouche of Seaweed Sabayon, a custard in roasted potato skin dashi, with rice puffs. Flavors were earthy, smoky and umami, and it tasted like a liquified potato chips. For appetizers, despite wanting to try different dishes, we were all reluctant to order anything but the 64 deg slow cooked egg and truffle ($12; to add shaved truffle, additional $15). 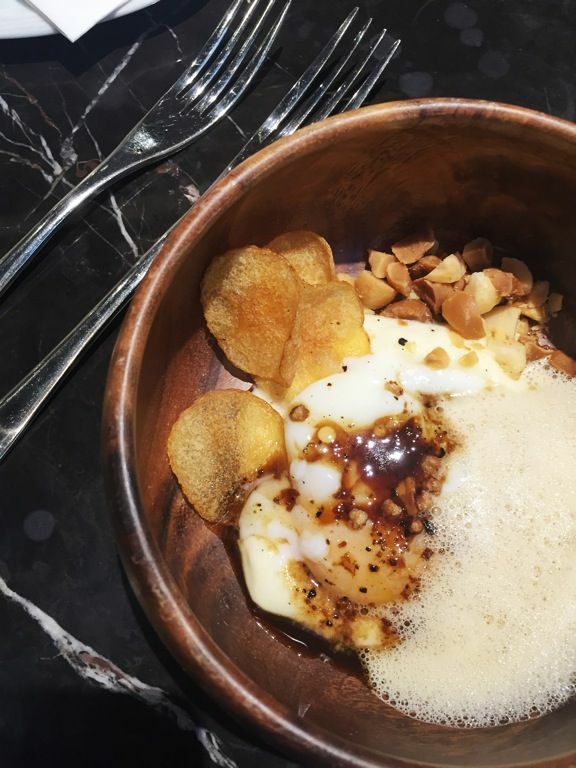 The creaminess of the egg, light earthliness of the the truffled potato mousseline, crispy potato thins, and sweet macademia made this a standout dish for us. We could certainly do with another portion of this each! For mains, we had the Mangalica Pork Belly ($20) with barley risotto, turnip, wild mushrooms, foie gras sauce perigueux. The fats were very well rendered fats and they disintegrated into nothingness when you bite into it. The smoky char of the rich meat paired well with the sweet barley and vegetables but i found the dish to be a tad oily overall. I had the Asian spiced braised beef short ribs ($28) with jalapeño and rosemary crumbs, apples, organic baby carrots. I've never had a braised beef short ribs done this style before and the jalapeño provided the lifting citrusy flavor to the fork tender meat. Pretty interesting and tasty dish! The Market fish of the day ($26) (we can't remember what fish it was) was distinctly sweet because of the freshness of the fish. This is certainly recommended if you want a light dish. That's not to say that this is bland though. The salty and citrusy broth was robust without overpowering the fish. 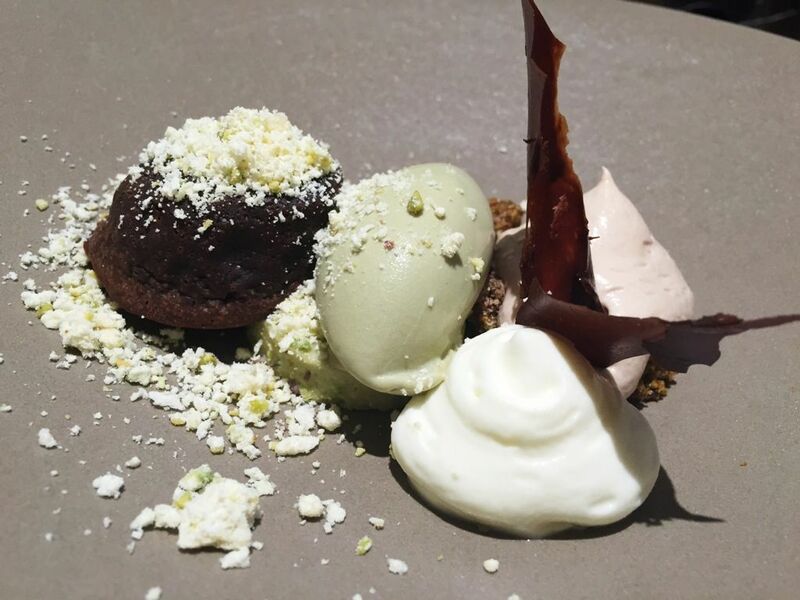 We could not resist having some desserts and you simply must order the Chocolate and Pistachio ($13). There is no chocolate overload here even though the Valrhona chocolate was presented in 4 different ways- Guanaja fondant, Tanariva mousse, Ivory white chocolate espuma, and Araguani chips. There were so many different flavors and textures in this one. I tasted peanut butter salted crumbles with crackle pops (i was the first to notice that), flowy baby lava cake (can't we have a bigger one), salty ivory espuma which reminded me of a goats cheese, and a nutty pistachio ice cream. It was a wonderful end to the meal, which would be better if we had more! Hats down to the Saveur boys for pulling modern French fine dining off. I certainly see myself visiting again (before the queues get too long). My only grumble is that the portions are a little small and we could do with a little more even with our little ladies' stomachs.